David, 57, knew he had to do something about his front entrance. He had considered many driveway ideas before, but none felt right. His and Cheryl’s dream was to sell up and retire in the sun. And in a falling property market they needed a house with serious kerb appeal. The visit none the less spurred David into action. For the past 20 years, David has been running his own catering business. And he doesn’t suffer fools gladly. He searched the internet for other options. 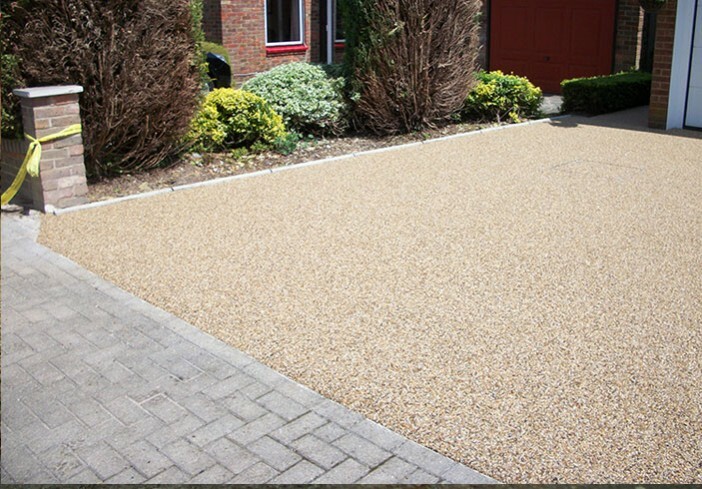 That’s how he found out about resin bound paving and saw the Clearstone Paving website. “I spoke to Andy and found him very approachable and agreeable from the off,” says David. 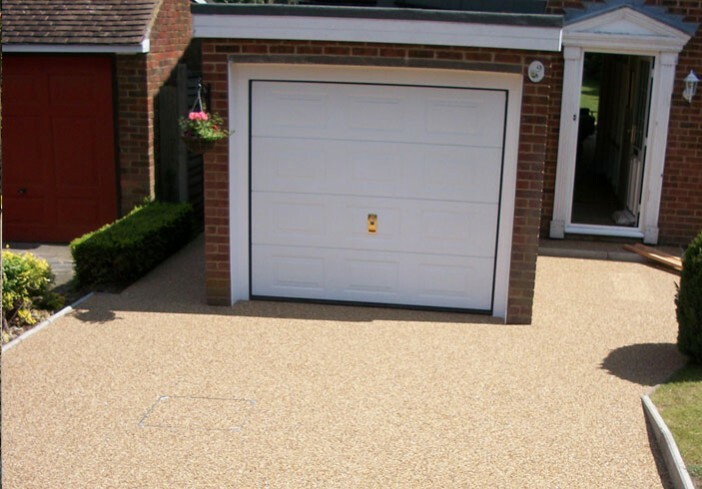 When Clearstone came to measure up the job, David was impressed with the range of colours of the shingles, gravels and quartz available. Practical man David laid his own 30ft by 20ft patio at the back of the house, so he was keen to save money by doing the driveway ground work himself. 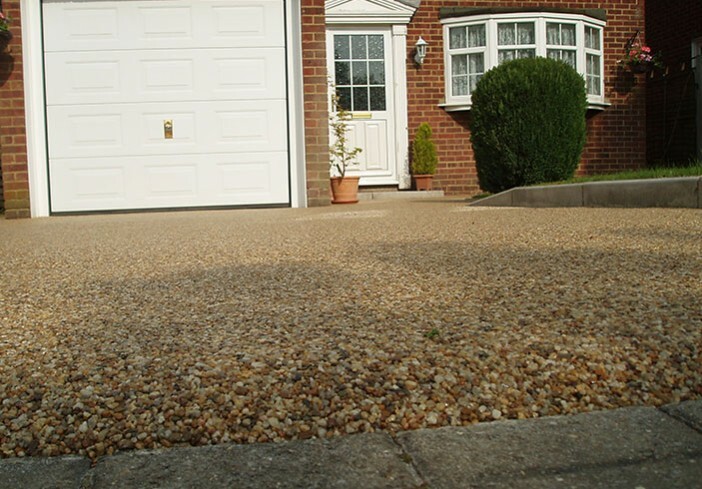 Clearstone briefed him on how to widen the driveway by a metre. 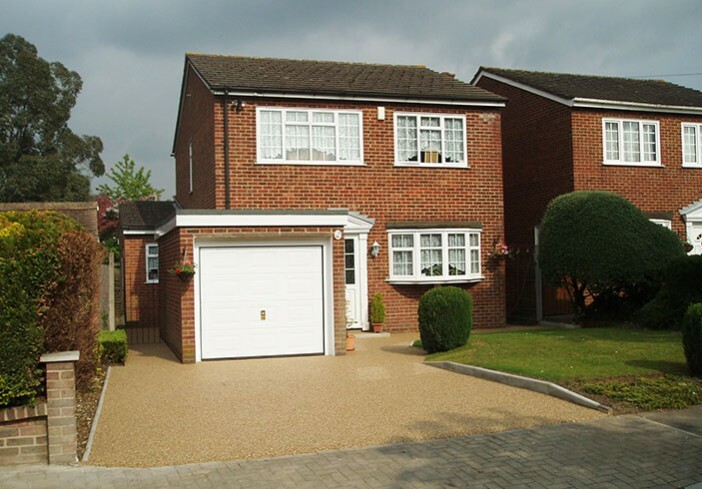 The Aylings took 4 days off – Cheryl mixed the concrete and David laid it. That way the couple saved themselves £1500. In summer 2009, the Clearstone team came to lay the new driveway. 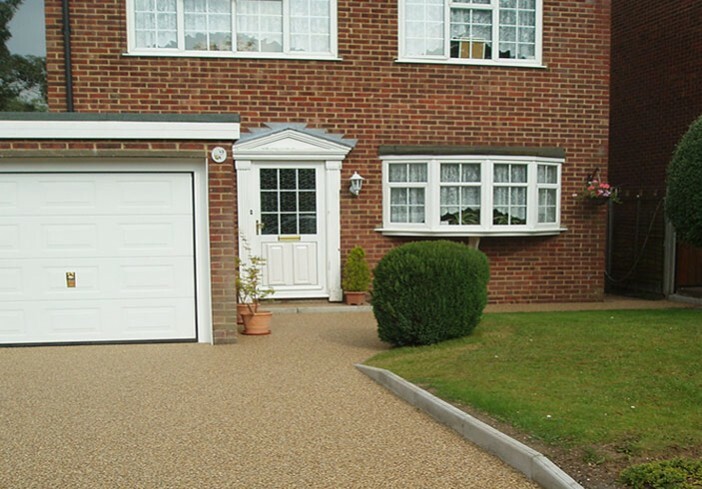 Since then, the Aylings’ new driveway has elicited a stream of compliments. And David marvels that it still looks as good as it did the day it was laid – despite an ice cold winter. David is satisﬁed he found Clearstone to do the project. “Clearstone run their business the same way we run ours – they’re crisp, efﬁcient and they get things done. They’re extremely reliable,” says David. 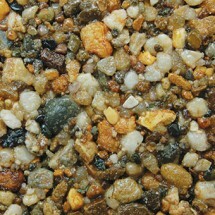 Area: Installed area 66 m2, laid at a thickness of 18mm.